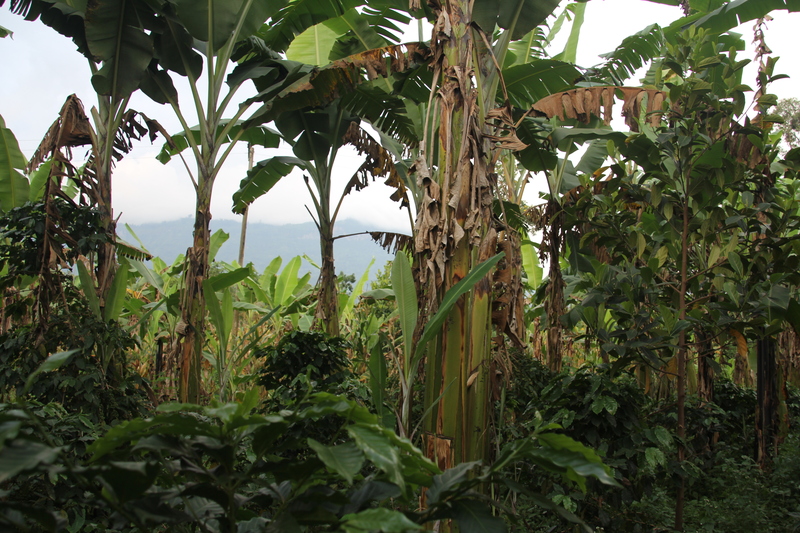 Guatemala is particularly vulnerable to climate change and extreme weather events. Heavy rains, violent storms and prolonged droughts are threatening the agricultural sectors and consequently the food security in the country. It is not just the country’s geographical location that leaves it susceptible, but poor housing, high malnutrition and unemployment also compound the situation to make the country’s inhabitants more vulnerable to the impacts of climate change, with indigenous communities and farmers being among the most affected. To support these communities build resilience to the effects of climate change and the natural hazards that are increasingly more likely to strike as a result, the Government of Guatemala is developing a policy framework to underpin adaptation efforts, and welcomes the support of the NAP-Ag Programme in mainstreaming the planning of adaptation strategies into national planning and budgeting processes. In an effort to increase resilience, Guatemala developed a National Climate Change Action Plan (Plan de Acción Nacional de Cambio Climático, PANCC) that incorporates mitigation and adaptation priority actions. Some of the activities that the country is looking to implement include: increasing the production of grains; (2) strengthening early warning systems for food and nutrition insecurity; and providing technical assistance to the farmers to improve resilience and adaptation to climate change. The NAP-Ag Programme is supporting the NAP Agricultura Guatemala with the aim to strengthen the adaptation component linked to agriculture, livestock and food security (Result 1) within PANCC. Activities include: (1) dialogues efficient water use for irrigation; (2) capacity development on water use; (3) cost-benefit analysis; and (4) integration of agriculture in the sectoral monitoring and evaluation frameworks. • Promotion of the efficient use of water in irrigation units through the National Federation of Irrigation Users -FENURGUA-, as practices of adaptation to climate change in the agricultural sector. • Promotion of agricultural adaptation practices to climate change at the community, institutional and national levels. Capacity development for ministry professionals on efficient use of water for irrigation, as a practice for adapting to climate change in agriculture. Development of a training program aimed at MAGA extension agents, with the theme of adapting agriculture to change climate. Capacity development at the inter-institutional level through workshops on cost-benefit analysis and integration of agriculture in the sectoral monitoring and evaluation frameworks. 20 December 2017 - La Organización de las Naciones Unidas para la Alimentación y la Agricultura (FAO) y el Programa de Naciones Unidas para el Desarrollo (PNUD), con el apoyo financiero de Gobierno de Alemania, ejecutarán en Guatemala un proyecto de adaptación al cambio climático, informó hoy una fuente de la ONU. Según la FAO, se trata del Plan Nacional de Adaptación (NAP-Agricultura) que también se ha desarrollado en Colombia, Gambia, Kenia, Nepal, Filipinas, Tailandia, Uganda, Uruguay, Vietnam y Zambia. El programa, que tendrá una duración de dos años, se ejecutará en regiones del denominado Corredor Seco, en el oriente de Guatemala, en apoyo al gobierno, dijo el organismo de las Naciones Unidas en un comunicado. 8 December 2017, Guatemala City - The Government of Guatemala presented on the NAP-Ag on 30 November 2017 in Guatemala City. Under the Ministry of Agriculture, Livestock and Food (MAGA) the NAP-Ag project aims to strengthen the issues related to the adaptation to climate change in the country's agricultural sectors and strengthening of institutional capacities through the development or updating of policy and planning instruments at the national, sectoral and local level. 08 December 2017 - La Organización de las Naciones Unidas para la Alimentación y la Agricultura (FAO) en conjunto con el Programa de las Naciones Unidas para el Desarrollo (PNUD) presentaron el Proyecto de Integración de la Agricultura en los Planes Nacionales de Adaptación (NAP, por sus siglas en inglés) que apunta a fortalecer los temas relacionados con el riego, adaptación ante el cambio climático en el sector agropecuario del país y el fortalecimiento de las capacidades institucionales a través del desarrollo o actualización de instrumentos de política y planificación en el ámbito nacional, sectorial y local, para contribuir con el Ministerio de Agricultura, Ganadería y Alimentación (MAGA). The "Building Resilient Communities, Wetland Ecosystems and Associated Catchments in Uganda" project will support the Government of Uganda in the management of critical wetlands that are being affected by a changing climate. The project will restore wetlands and their eco-system services, based on the wise-use principles and guidelines outlined by the Ramsar Convention on Wetlands. 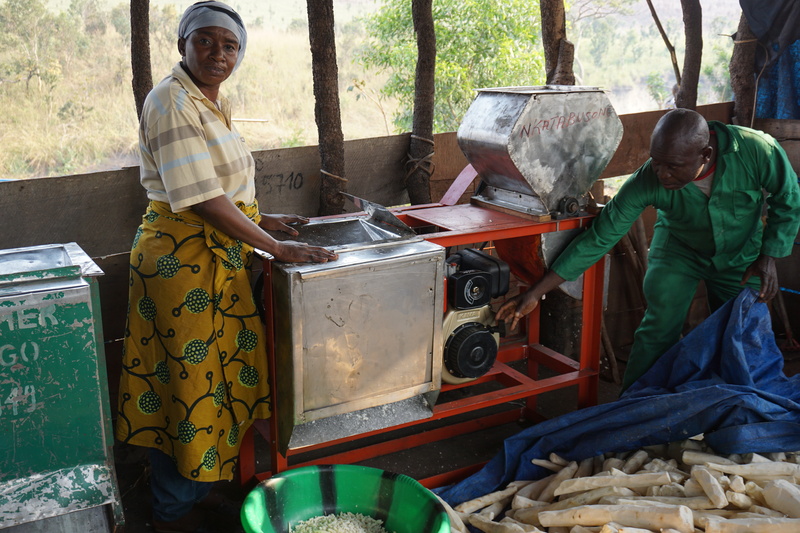 It also supports sustainable land management practices and reforestation, resilient agricultural practices and alternative livelihoods for communities living in these areas. This support will reduce the pressures on the wetlands. Finally the project seeks to strengthen the climate information and early warning systems to support these communities to make climate-resilient decisions. The impact of climate change, coupled with other human and environmental stressors, is increasing degradation of wetlands and their associated ecosystem services in Uganda. This is negatively affecting the livelihoods of the people living in and around the wetlands – around 4,000,000 people. In fact, over 80% of the people living adjacent to wetland areas in Uganda directly use wetland resources for their household food security needs. Given that wetlands are highly vulnerable to changes in the quantity and quality of their water supply, climate change will most likely substantially alter ecologically important attributes of wetlands and will exacerbate the impacts from human activity. On the other hand, the loss of wetlands could exacerbate the impact of climate change in as they provide fundamental services that contribute to mitigation of such impacts. 800,000 people living in and around the wetlands of Southwestern and Eastern Uganda. Wetland health and resilience can easily be compromised by climate change impacts. Climate change models for Uganda predict that temperatures will continue to increase, and there will be changes in the seasonal distribution and amount of rainfalls, more frequent extreme weather events, and increases in the frequency of heavy rainfalls. Increases in temperature and erratic rainfall will result in more frequent and intense floods, droughts and heat waves, which will directly threaten wetlands and livelihoods that rely on its healthy ecosystem services. Hydrologic and drainage maps of the project targeted sites (the eastern and southwestern Wetlands Basin) indicate that most of the freshwater inflows pass through the wetlands and natural forests. These systems have played an integral role in maintaining the quality of water over the centuries. However, over the last three decades, climate change impacts, as well as other baseline (non-climate) issues such as excessive sedimentation and non-native species invasions, have resulted in substantial water quality deterioration. Under this sub-component, at least 760 km2 of degraded wetlands and its associated catchment will be restored and the lives of 500,000 people will be improved in selected districts of Eastern and South Western Uganda. The overall aim of the intervention is to restore the ecological and hydrological integrity of the wetland and support the development and implementation of a community-based framework for wetland management plans. This will help support climate risk management and resilient livelihoods through enhanced ecosystems services in the area. The Government of Uganda and United Nations Development Programme (UNDP) have kick-started a new project on "building community resilience, wetlands ecosystems and associated catchments in Uganda." The new project, which is Uganda’s first Green Climate Fund-financed initiative, is a response to the Presidential Initiative on Wetlands. The project inception meeting held on 29 November 2017 marks the start of project implementation and comes after both entities signed a financing agreement in August 2017 for the project, which is intended to restore degraded wetlands, improve ecosystems, and strengthen climate information and early warning systems. The grant based project will target an estimated 4 million people who live in and around Uganda’s wetlands and rely on them for food security. It is part of both the Government Uganda and United Nations efforts to promote Sustainable Development Goal 13 on climate action as well as fulfil its obligations to the Paris Agreement on Climate Change which it ratified last year. “Fighting climate change and its effects is now a key goal for the Government of Uganda. We are delighted that this project is going to enable us to respond to the President’s call to protect wetlands and boost our ongoing efforts in climate change mitigation and adaptation,” Hon. Mary Goretti Kitutu, the State Minister Environment, said at the inception workshop for the project. The Government of Uganda and United Nations Development Programme (UNDP) have today August 23 signed a financing agreement for the Green Climate Fund (GCF) project to restore degraded wetlands, improve ecosystems, strengthen climate information and early warning systems. Hon. Matia Kasaija, the Finance Minister signed on behalf of the Government and Ms. Rosa Malango, the UNDP Resident Representative and UN Resident Coordinator for Uganda signed on behalf of UNDP. The Building Resilient Communities, Wetland Ecosystems and Associated Catchments in Uganda project will support the Government of Uganda in the management of critical wetlands that are being affected by a changing climate. The project will restore wetlands and their eco-system services, based on the wise-use principles and guidelines outlined by the Ramsar Convention on Wetlands. 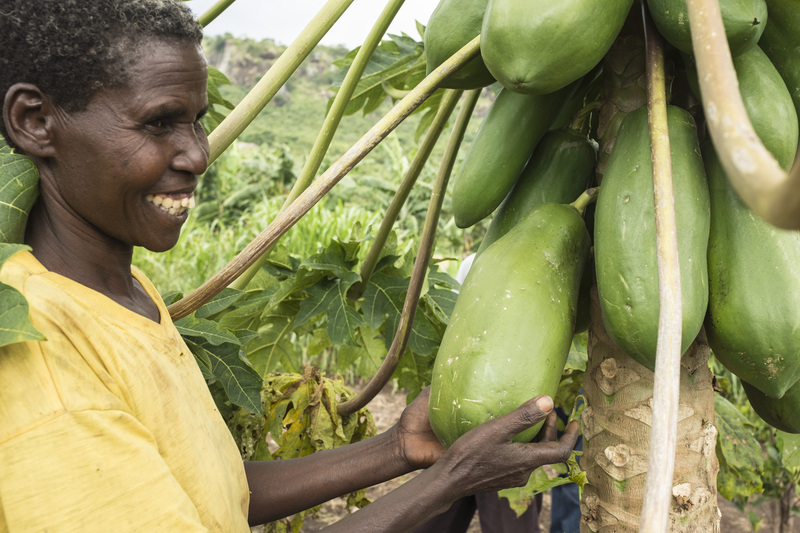 It also supports sustainable land management practices and reforestation, resilient agricultural practices and alternative livelihoods for communities living in these areas. This support will reduce the pressures on the wetlands. Finally the project seeks to strengthen the climate information and early warning systems to support these communities to make climate-resilient decisions. The impact of climate change, coupled with other human and environmental stressors, is increasing degradation of wetlands and their associated ecosystem services in Uganda. This is negatively affecting the livelihoods of the people living in and around the wetlands – around 4,000,000 people. In fact, over 80% of the people living adjacent to wetland areas in Uganda directly use wetland resources for their household food security needs. Given that wetlands are highly vulnerable to changes in the quantity and quality of their water supply, climate change will most likely substantially alter ecologically important attributes of wetlands and will exacerbate the impacts from human activity. On the other hand, the loss of wetlands could exacerbate the impact of climate change in as they provide fundamental services that contribute to mitigation of such impacts. Through the global Ecosystems-based Adaptation (EbA) in Mountains Programme, UNDP, UNEP and IUCN, with funding from the German Government (BMUB), are using sustainable management, conservation and restoration of ecosystems, as part of an overall EbA adaptation strategy, to reduce the vulnerability and enhance the resilience of select fragile mountain ecosystems and their local communities to climate change impacts. The promoted EbA measures carefully take into account anticipated climate change impacts trends to ensure a forward-looking process. For more information visit the Global Ecosystems Based Adaptation in Mountains Programme profile, or the EbA Flagship. 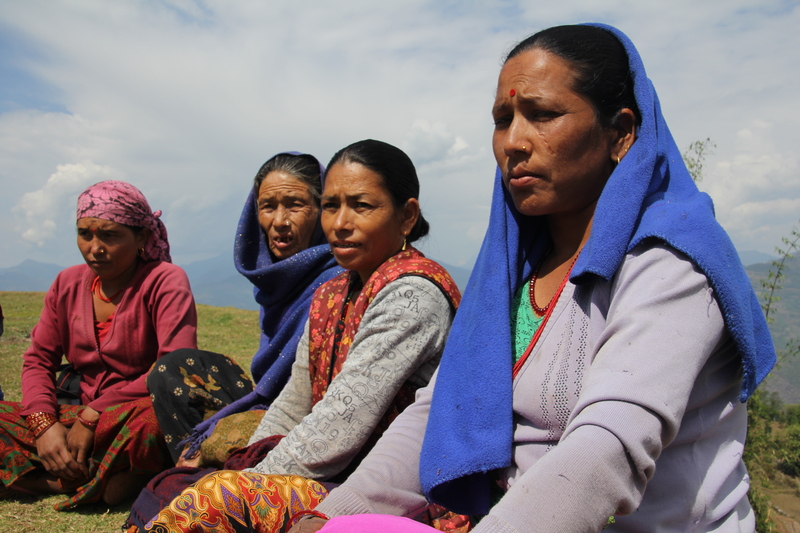 The Nepal Pilot Project of the global Ecosystem-based Adaptation in Mountains Programme aims to enhance capacity of local communities, demonstrate EbA measures for continued provision of ecosystem services, and support in strengthening the institutional capacity of key national Nepalese actors to build and better integrate ecosystem resilience options in national, sub-national and local level plans. Development of a business case for EbA at the national level. 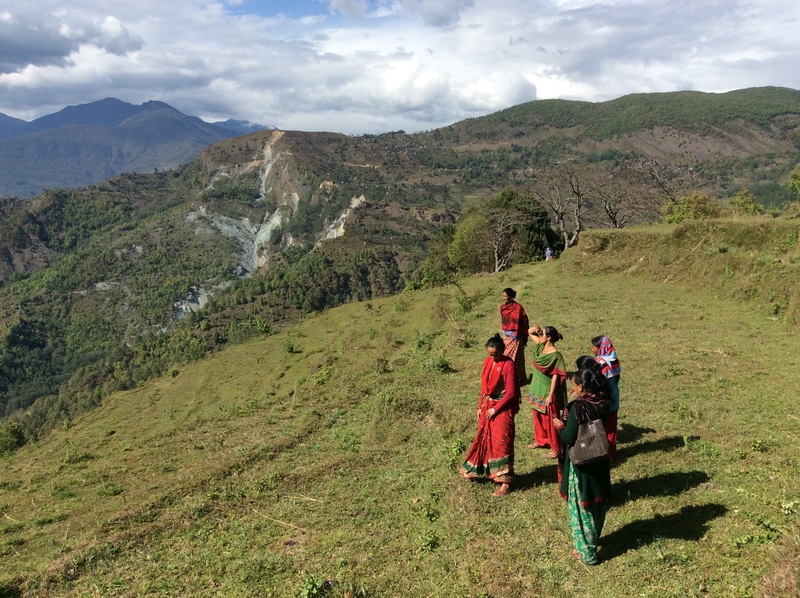 In Nepal, the Project is implemented by the Department of Forests (DoF) under the Ministry of Forests and Soil Conservation (MoFSC) and is coordinated by the Ministry of Science, Technology and Environment (MoSTE). Similarly, there are three implementing agencies: UNEP, UNDP and IUCN. EbA initiatives are concentrated in 17 VDCs (Village Development Committees) of the ‘Panchase’ region and covers three districts – Kaski, Syangja and Parbat. The project has prioritized 3 important sub-watersheds – Rati, Saradi and Harpan - and focused on different interventions such as ecosystem restoration, water conservation, land rehabilitation, livelihood diversification and capacity enhancement of government agencies and local communities. Practices, like water source conservation and construction of conservation ponds, have been initiated in the pilot sites to address water scarcity issues, since the water sector is significantly affected by climate change in Nepal. These initiatives have helped reduce drudgery in fetching water required for dominant rural livelihood practices, i.e. 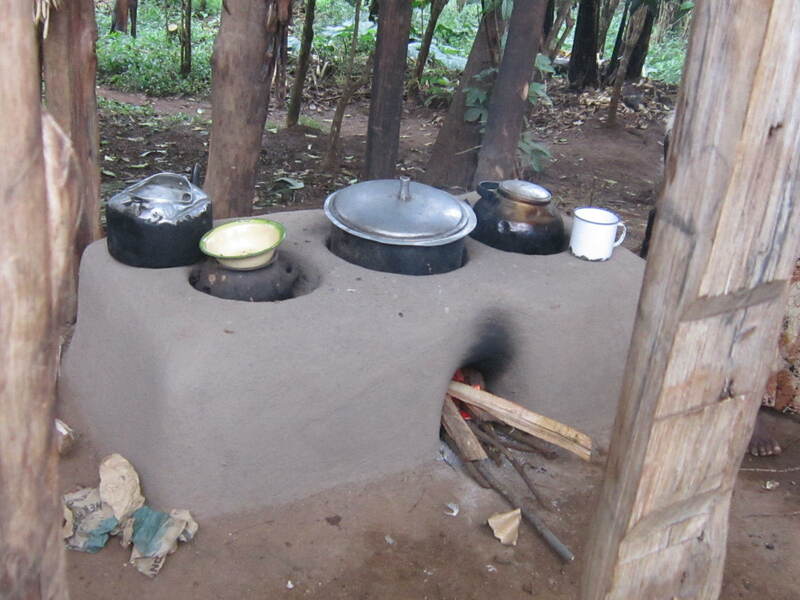 subsistence agriculture and livestock rearing. Out-migration in Panchase has resulted in an increasing amount of abandoned and barren land. The Project has hence carried out plantation initiatives of endemic multi–use species to protect these lands from further degradation and also complement the needs of rural people for fuel wood and fodder. 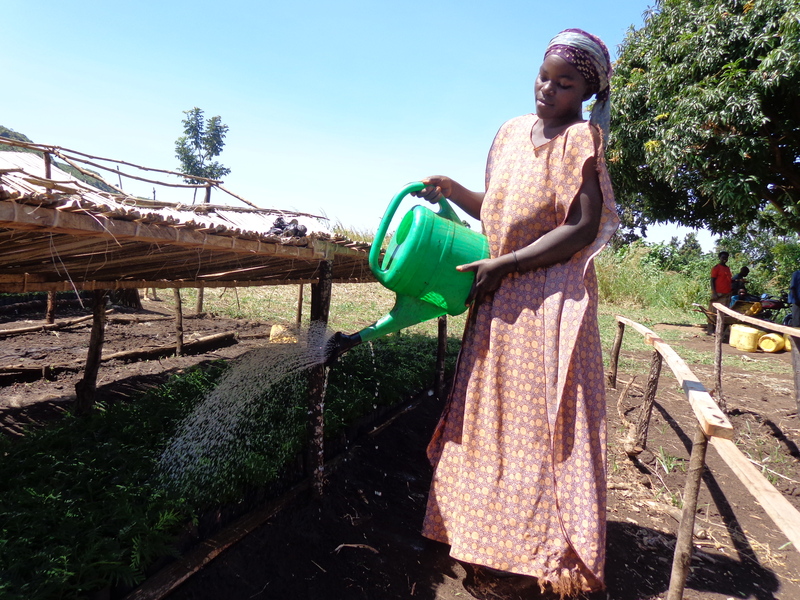 Additionally, the Project has supported nursery establishment in the region to provide easy access to seedlings species for plantations by the locals. Likewise, land degradation resulting from unplanned rural road construction has been addressed by roadside greenery promotion and roadside rehabilitation, using engineered structures such as ‘gabion cages’ that are supplemented by plantations. Similarly, several landslide and gully control initiatives have also been carried out in the project pilot sites. Rangeland management has been done by building compound walls to halt over-grazing activities of the livestock and protect the grassland ecosystem from further degradation. The Project has also distributed fodder species to reduce the pressure on the open degraded land. Several river bank conservation initiatives with application of grey-green measures, i.e. engineered structures coupled with bamboo plantation, have been carried out to protect agricultural lands in the river banks to reduce deposition of sediment downstream. The Harpan Sub-watershed is an important feeder to the nationally important Phewa Lake, which today suffers from massive deposition of silt. The Project has, therefore, carried out a comprehensive study on the siltation process of Harpan Khola and subsequently proposed construction of ecosystem-based siltation control techniques and a siltation dam in the Harpan River. The EbA concept has now been mainstreamed in Bachelors of Science (BSc) degree syllabus of the Tribhuvan University, Central Department of Environmental Science (CDES). Similarly, to reduce the research gap, EbA has provided research grants to the students of Tribhuvan University to undertake research work in the EbA site to investigate the effectiveness of EbA options. The Project broadcasted radio programs named ‘Panchase ko Serofero’ through Radio barahi-99.2, Radio saligram-100.6 and Syangja FM-89.6, respectively, from Kaski, Parbat and Syangja to increase local level awareness on ecosystems and EbA. Led by UNDP, the Nepal project has been engaged in the process of establishing the newly formed High-Level Technical Committee on EbA to be led by the Ministry of Forests and Soil Conservation. The main role of the Committee is to coordinate and mainstream ecosystem-based approaches to climate change adaptation into different sectoral plans and programmes. The Committee includes representatives from various Ministries, such as National Planning Commission, Ministry of Forests and Soil Conservation, Ministry of Science, Technology and the Environment, Ministry of Agriculture and Ministry of Federal Affairs and Local Development. The first meeting of the Committee was scheduled for last week of September. The results of the Cost-benefit analysis carried out by the Nepal project, led by UNDP, will be presented in a high-level event, organized jointly with the High-level Technical Committee, in October. The new Forest Policy (2015) has climate change as one of seven thematic areas and includes EbA as one of the approaches put forward for adaptation. The project, led by UNDP, is involved in a working group developing a 5-yr action plan for the delivery of the climate change area of this Policy in all 75 Districts of Nepal. The project is providing direct technical input into how this key national policy will be implemented in practice with regards to climate change and making the case for integrating EbA measures into its delivery. 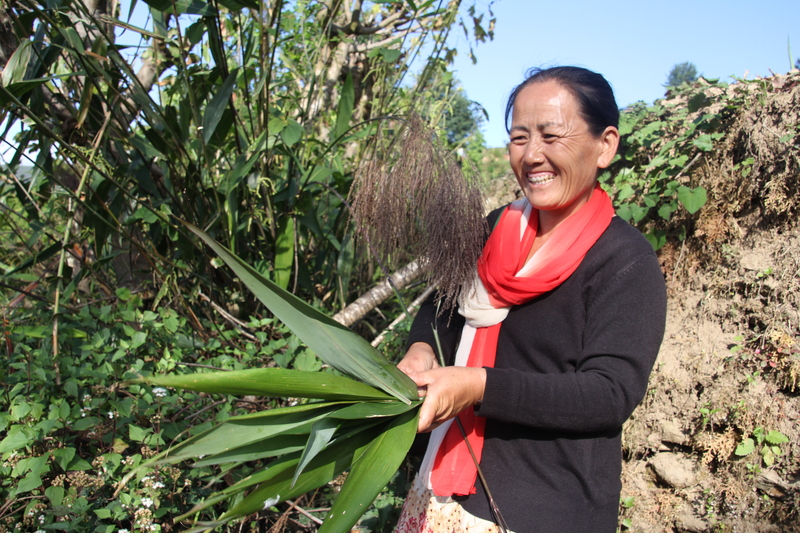 The Nepal project, led by UNDP, has provided technical and financial support to produce draft Guidelines on Protected Forests, which provide regulations and directives on managing Protected Forests and are in the process of being endorsed by Government. The proposed Guidelines incorporate EbA and provide the opportunity for integrating EbA into the national Protection Forest management plans and programmes. For more information visit the Global Ecosystems Based Adaptation in Mountains Programme profile, or the EbA Flagship website. This documentary highlights the need for mainstreaming ecosystem-based adaptation strategies into national policies to ensure that actions against climate change is planned for. It puts a strong emphasis on the importance of Government funding such measures into the future through core budgets. 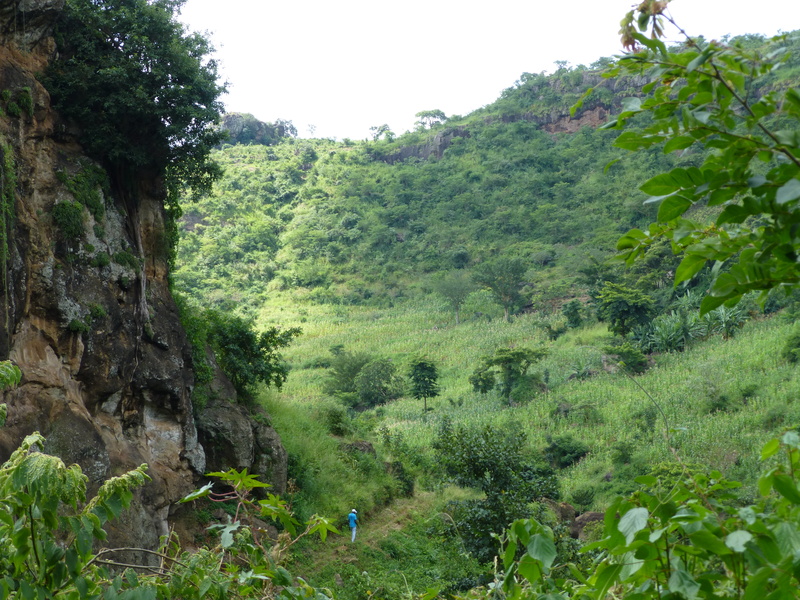 The objective of this Uganda pilot project under the global Mountain EbA Programme is to reduce the vulnerability of Uganda to climate change impacts through piloting Ecosystem-based Adaptation options with particular emphasis on mountain ecosystems in the Mt Elgon region. Establishing the economic benefits and financial costs of EbA, to guide national policies. The project is implemented by the Ministry of Water and Environment (MWE) focusing on the Districts of Sironko and Bulambuli (implementation supported by UNDP) and Kapchorwa and Kween (Implementation supported by IUCN). 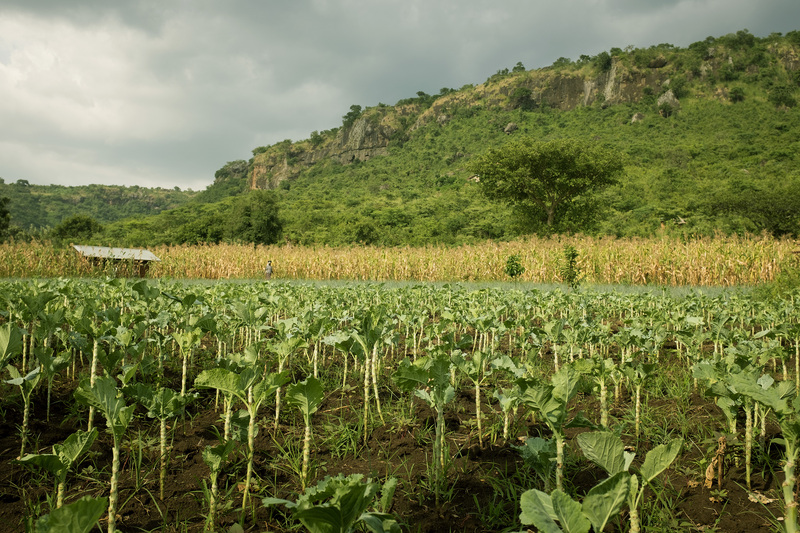 A Vulnerability Impact Assessment (VIA) has been carried out to determine which EbA interventions can be used to support the communities in the selected project area. 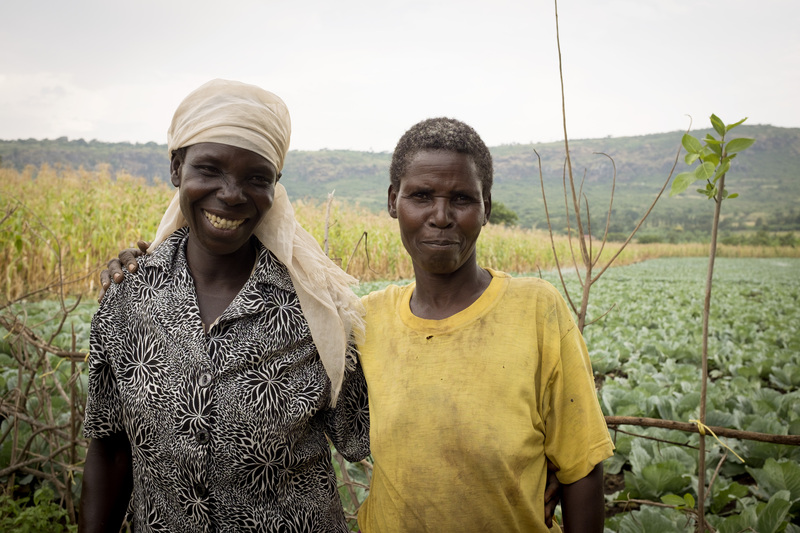 About 600 households within the 4 districts (Kween, Kapchorwa, Sironko & Bulambuli) have received training in climate-smart interventions and are implementing them on their land. Local platforms including local radios are being used for knowledge sharing. Different techniques in support of climate-resilient agriculture have been encouraged, including mulching, use of organic fertilizer, improved water retention through roadside drainage bunds, run off retention drains, diversion bands in crop gardens; and gravity flow irrigation (benefitting over 1,000 formerly water-stressed community members in 3 villages in Sanzara Parish). Practices like soil and water conservation structures, have also been promoted, including contour trenches, contour ridges, retention or check dams, infiltration ditches and contour bands; tree planting for stabilization of soil and water conservation, with appropriate species together with contour grass strips; and the management and protection of existing forests and trees on the farm. At the local governance level, structures for natural resource governance have been strengthened, including a schematic framework for managing a new adaptation fund in all the three catchments, including the communities and district technical staff. The ECOTRUST PES facility being piloted by the project was officially launched in March 2015 by the Minister of Water and Environment, Hon. Ephraim Kamuntu. The Minister emphasized the contribution of the fund to many of the investment priorities identified in the National Development Plan of Uganda such as skills development, water and sanitation; and facilitating availability and access to critical production inputs especially in agriculture. The cost-benefit analysis results and data generated will be used to advocate the case for EbA to government during a meeting of the Top Policy Committee of the Ministry of Water & Environment. This will then be followed up at during the Joint Sector Water & Environment Review (week of 5th Oct) being held by the National Climate Change Policy Committee and the National Environment & Natural Resources Sector Working Group. The Nor Yauyos-Cochas Landscape Reserve in Peru is located in the Lima and Junin regions in the high Andean area of the upper Cañete and Pachacayo river basins. The reserve is a living landscape of significant conservation value, in which local communities maintain their ancestral ways in harmony with nature. 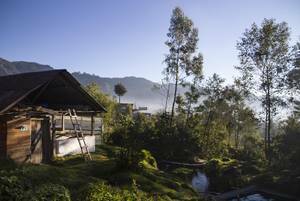 The climate is variable due to altitude (between 2300 and 6000 metres above sea level) and annual rainfall varies between 500 to 1000 mm. The population living in the Reserve is confined to 12 communities with an estimated population of 10, 390. 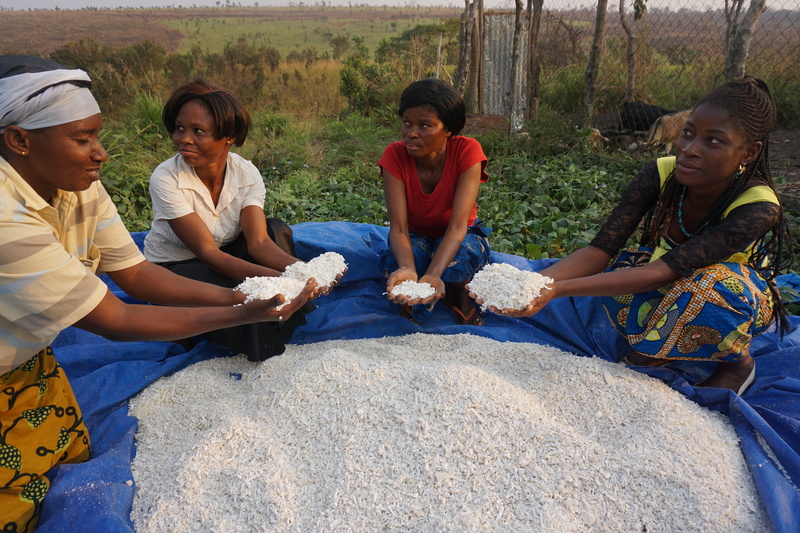 The main economic activity of these communities is agricultural and livestock production for local subsistence. The Mountain Ecosystems-based Adaptation program (EbA) is a collaborative initiative of the United Nations Development Programme (UNDP), the International Union for Conservation of Nature and Natural Resources (IUCN) (through its implementing partner, the Mountain Institute (TMI) and the United Nations Environment Programme (UNEP), funded by the Federal Ministry for the Environment, Nature Conservation, Public Works and Nuclear Safety of the German Government (BMUB). In Peru, the programme is run by the Ministry of Environment of Peru (MINAM) and is implemented in the Nor Yauyos-Cochas Landscape Reserve (NYCLR), with support from the National Service for Protected Natural Areas (SERNANP, in Spanish). Proyecto que busca fortalecer las capacidades de Perú para implementar las opciones de Adaptación con base en Ecosistemas (EbA) y reducir la vulnerabilidad de las comunidades. ¿Cómo aprovechar los ecosistemas para adaptarnos al cambio climático? Es en lo que viene trabajando el proyecto EbA Montaña y el SERNANP en las comunidades campesinas de la Reserva Paisajística Nor Yauyos Cochas (RPNYC), ubicada en las regiones de Lima y Junín, para generar evidencias a través de su experiencia con el fin de que el enfoque de Adaptación basada en Ecosistemas (AbE, o EbA en inglés) sea incorporado en las políticas nacionales y ofrecerle a las comunidades de montañas una nueva alternativa para adaptarse al cambio climático. Este es un video participativo, hecho por comuneros y comuneras de Canchayllo, junto con guardaparques de la Reserva Paisajística Nor Yayos Cochas en el Perú, muestra las medidas tomadas por la comunidad para afrontar el cambio climático dentro de la reserva. Se realiza en el marco del proyecto Adaptación basada en Ecosistemas de Montaña. El proceso facilitado por el Instituto de Montaña con el asesoramiento del cineasta Rodrigo Otero. Este video muestra el trabajo de implementación de medidas robustas de Adaptación basada en Ecosistemas (AbE), en las comunidades de Canchayllo y Miraflores en una de las 76 áreas naturales protegidas por el Estado Peruano: la Reserva Paisajística Nor Yauyos Cochas (RPNYC), en el marco del proyecto EbA Montaña. Este proyecto es una iniciativa colaborativa del PNUMA, la UICN y el PNUD, financiada por el BMUB del Gobierno Alemán. En Perú, el proyecto se ejecuta por encargo del MINAM en estrecha coordinación con el SERNANP a través de la Jefatura de la RPNYC. Este es un video participativo, hecho por comuneros y comuneras de Miraflores, junto con guardaparques de la Reserva Paisajística Nor Yayos Cochas en el Perú, muestra las medidas tomadas por la comunidad para afrontar el cambio climático dentro de la reserva. Se realiza en el marco del proyecto Adaptación basada en Ecosistemas de Montaña. El proceso facilitado por el Instituto de Montaña con el asesoramiento del cineasta Rodrigo Otero. El proyecto EbA Montaña trabaja con el SERNANP y las comunidades campesinas de la Reserva Paisajística Nor Yauyos Cochas para que se adapten al cambio climático. Conoce más del proyecto y las medidas de adaptación basada en ecosistemas que vienen implementando en este video. 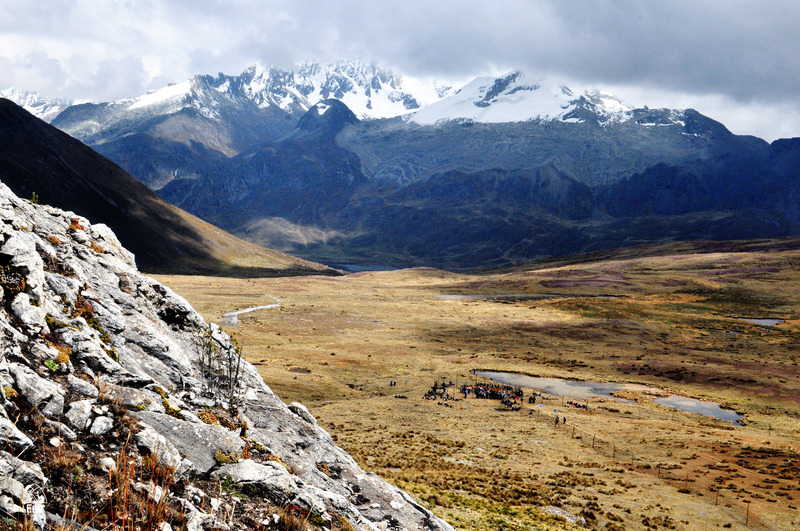 The objective of this Peru pilot project under the global Ecosystem-based Adaptation (EbA) in Mountains Programme is to reduce the vulnerability of Peru to climate change impacts through piloting EbA options with particular emphasis on mountain ecosystems in the Nor Yauyos-Cochas Landscape Reserve. The project is a collaborative initiative of the United Nations Environment Programme (UNEP), the International Union for Conservation of Nature (IUCN) and the United Nations Development Programme (UNDP), funded by Germany’s Federal Ministry for the Environment, Nature Conservation, Building and Nuclear Safety (BMUB). In Peru, the programme is commissioned by the Ministry of Environment of Peru (MINAM for its Spanish acronym) and is implemented in the Nor Yauyos-Cochas Landscape Reserve with the support of the National Service of Natural Protected Areas (SERNANP for its Spanish acronym). 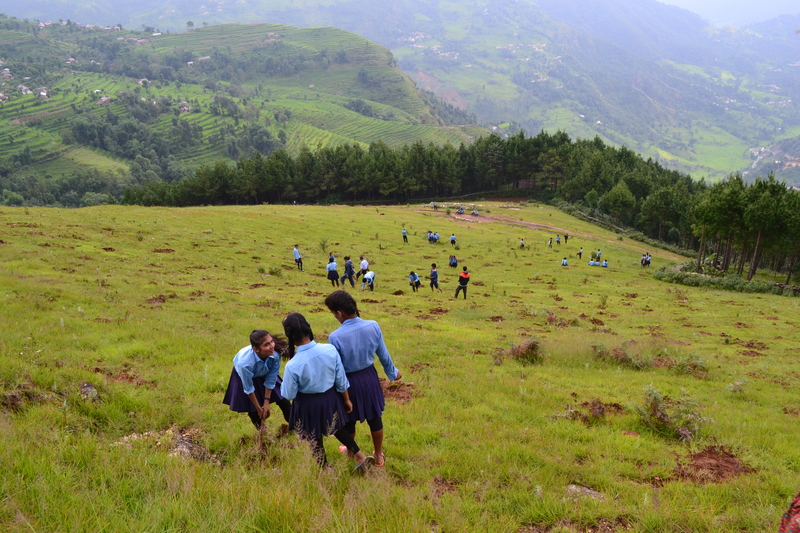 The activities under IUCN’s responsibility are implemented in partnership with the Mountain Institute (TMI). Three vulnerable areas have been identified in the NYCLR: Canchayllo, Miraflores and Tanta. Two EbA measures per area are being implemented. Information from the VIA (Vulnerability and Impact Assessment) for the NYCLR is being incorporated into the updated version of the NYCLR Master Plan. Support to both regional governments in Junin and Lima in the updating of their Regional Climate Change Strategies and the addition of EbA approaches to these tools. A local Communication Network for the NYCLR has been developed by the project. 11 park rangers and 21 students of the NYCLR have learnt about climate change and how to use communication tools for their own development. In Tanta, the community decided to free the Moyobamba area (vicuña natural habitat) of domestic animals to be an exclusive area for vicuñas. 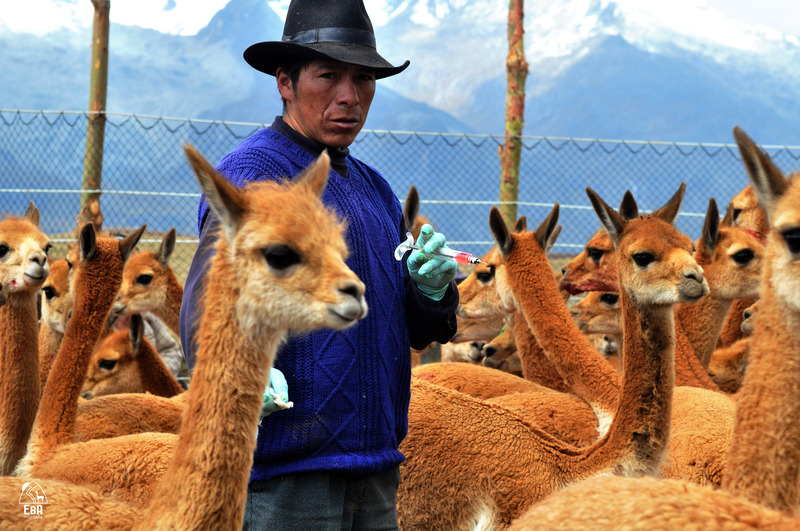 Capacity building and technical assistance in livestock and vicuña management, including animal husbandry of vicuña population. Installation of fences in 2000 hectares of communal land for livestock, and conservation of 1500 hectares of vicuña habitat. In Miraflores and Canchayllo no regret measures are being implemented. 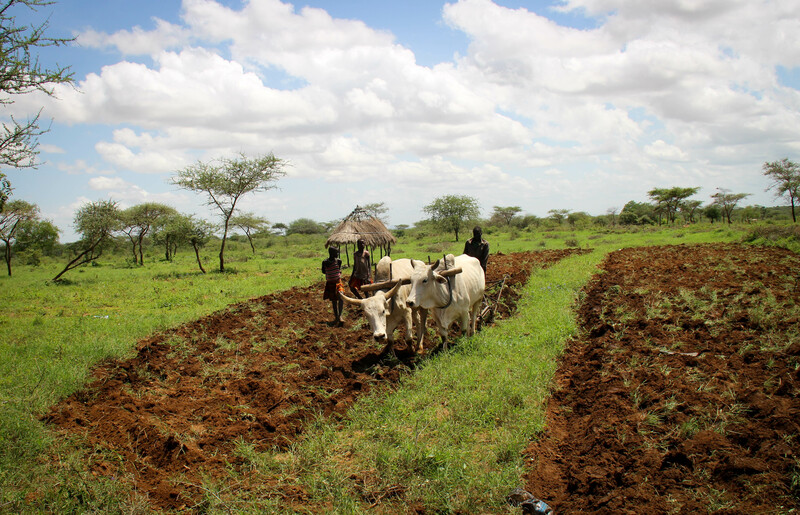 In both places local villagers have become local researchers and have strengthen their capacity in pasture and water management. In Canchayllo, a natural water reservoir dam was restored to reduce water filtration and ensure its storage during the dry season. Also, an underground pipe was restored to transport water from the upper part of the watershed (near Chacara Lake) to the community farm (Jutupuqio). In Miraflores, a protection zone (5ha) was enlarged around the Yanacancha lakes encircling the upper micro-watershed in order to prevent cattle and other animals from entering the area. 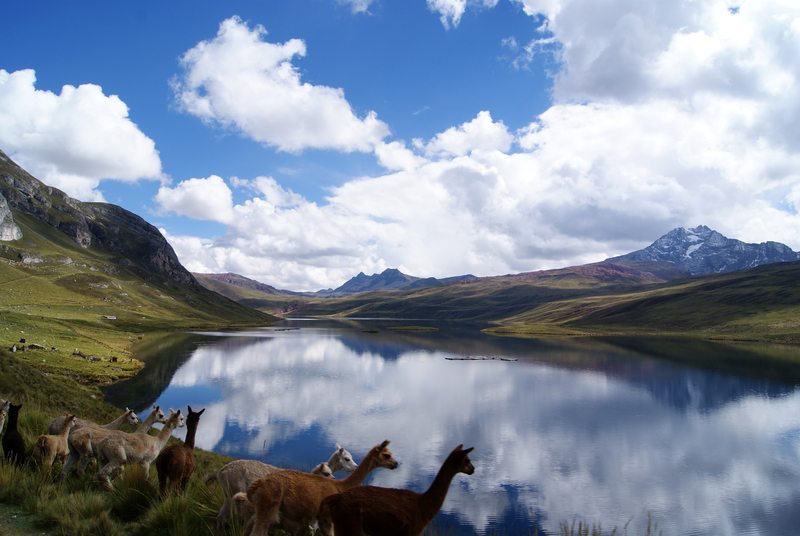 In August 2015, Peru officially approved Policy Guidelines for Public Investment in Biodiversity and Ecosystems, with the expectation that this instrument will facilitate new and additional public investment aligned with the National Biodiversity Strategy. Of particular interest is that the UNDP BIOFIN and the Peru Mountain EbA projects worked together since February 2015 in close coordination with the Ministries of Environment and Economy and Finance to facilitate the incorporation of climate change and specifically EbA into the guidelines. For example, the consideration of climate change as a cross-cutting issue is included as one of the Strategic Policy Guidelines (p6). As next steps, BIOFIN and the Peru Mountain EbA project are collaborating in the design of a pilot Public Investment Project for the community of Tomas in the Nor Yauyos Cochas Landscape Reserve, as an opportunity to replicate EbA actions undertaken in Tanta and taking advantage of the political will and support of the Tomas municipality. Following this, UNDP and other agencies will support MINAM and MEF in capacity building of local and regional governments and development of additional pilots, as part of an effort to expand the use out the guidelines at the national level. Technical support will also be provided to develop impact indicators to be used by MINAM and MEF of the biodiversity and ecosystem-focused PIPs. The Peru Intended Nationally Determined Contribution (INDC) is currently being developed. The project team has contributed by reviewing the draft and providing recommendations on how to integrate EbA. The draft INDC includes EbA measures in its sector/system specific adaptation contributions for water, agriculture and forestry. The INDC even refers to the Mountain EbA Programme specifically as a key project that has contributed to the adaptation process in Peru. 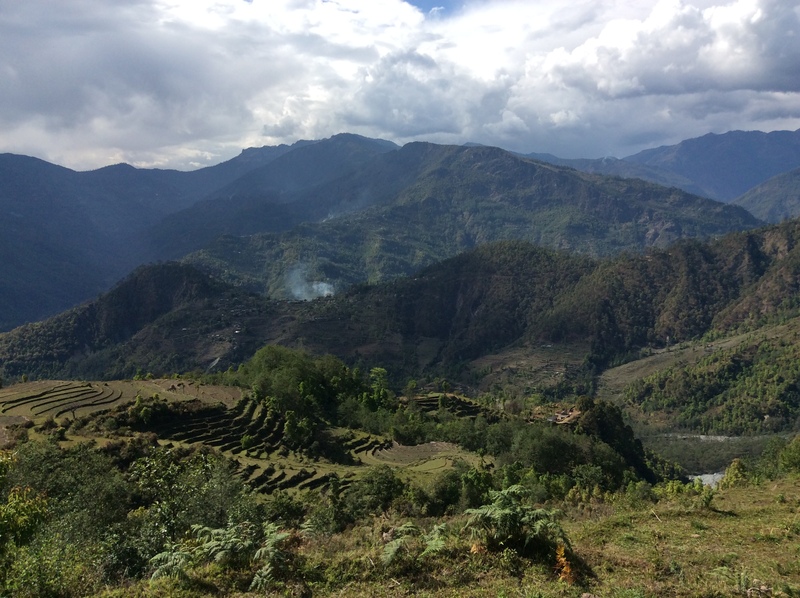 Learning by doing: the construction of the approach and program EbA, Lunahuana, Cañete, 25 to May 30, 2015 - The third Global technical workshop on ecosystem-based adaptation learning for the Global Mountain EbA programme, which is running in Nepal, Uganda and Peru, was held. The workshop aimed to identify and assess the contributions that the program has made ​​in EbA mainstreaming in public policies and in building resilience and adaptive capacity of local populations. CRiSTAL Parques, 26-29 January, 2015 - Del 26 al 29 de enero de 2015 se aplicó, en la Reserva Paisajística Nor Yauyos Cochas (RPNYC) de Perú, la herramienta CRiSTAL Parques, un instrumento de apoyo a la toma de decisiones que ayuda a los profesionales de la conservación y a los responsables de Áreas Protegidas (AP) a integrar riesgos climáticos en su planificación. Ruedo en las alturas - El Chaccu, tradición ancestral de arreo de vicuñas, es hoy una importante medida de adaptación al cambio climático basada en ecosistemas. Dioses del agua - Para los pobladores de Canchayllo, distrito de Jauja, en la Reserva Paisajística Nor Yauyos Cochas, el cambio climático ha sido una buena excusa para el ingenio y los buenos reflejos. Ahí se han modificado comportamientos, infraestructura y organización con el fin de potenciar, conservar y restaurar la administración de pastos y agua de la zona. Esta es su historia. Viaje por los ecosistemas del Perú, Lima, 7 December 2014 - Junto a un cuentacuentos y pobladores de la costa, sierra y selva del Perú, los proyectos EbA Montaña, EBA Amazonía y Humboldt del Programa de las Naciones Unidas para el Desarrollo (PNUD), presentaron en el Auditorio Principal de la feria Voces por el clima -espacio para la sociedad civil en el marco de la COP20 en Lima-, “Mi montaña, mi bosque, mi mar: nuestro pan de cada día”, una puesta en escena que utilizó la tradición oral para contar cómo las comunidades se están adaptando al cambio climático. Presentan avances en el Proyecto EbA Montaña, Huancayo, 4 February 2015 - El 4 de febrero en la ciudad de Huancayo, se reunieron los miembros del Comité Directivo del Proyecto EbA Montaña para informar acerca de los avances del proyecto, discutir el Plan Operativo Anual y la presentación de los resultados del estudio de Vulnerabilidad, Impacto y Adaptación al cambio climático (VIA) en la Reserva Paisajística Nor Yauyos Cochas (RPNYC), área de intervención del proyecto, a cargo del equipo de Centro de Datos para la Conservación (CDC)-Universidad Nacional Agraria La Molina y la Universidad de Columbia. Proyecto EbA Montaña participa en el Foro Mundial de Montañas en Cusco, 23-25 May 2014 - El Foro Mundial de Montañas (WMF, por sus siglas en inglés) -un espacio de encuentro para la ciencia, los tomadores de decisión y los activistas del Desarrollo Sostenible de las Montañas del mundo- se desarrolló en Cusco, Perú del 23 al 25 de mayo de 2014. El objetivo fue crear un espacio que permita la discusión y el intercambio de experiencias en temas vinculados al cambio climático, agricultura familiar, comunidades y ciudades de montaña, en el marco del trabajo en los ecosistemas de montaña. EbA Montaña en Perú identifica vulnerabilidad e impacto frente al cambio climático de la RPNYC, 26 March 2014, se presentó en la Universidad Nacional Agraria La Molina (UNALM) la Evaluación de Vulnerabilidad e Impacto (EVI) frente al cambio climático de la Reserva Paisajística Nor Yauyos Cochas, el cual forma parte del proyecto Adaptación basada en Ecosistemas de Montaña (EbA Montaña) en Perú. Fue preparado entre agosto de 2012 y diciembre de 2013 gracia a un acuerdo entre el Programa de las Naciones Unidas para el Medio Ambiente (PNUMA) y la Fundación para el Desarrollo Agrario (FDA) de la UNALM. The major impacts that climate change is projected to have in the Marshall Islands are sea level rise and associated shoreline erosion. This observation reflects the low-lying nature of the atolls the form the country; its highest point of land is found on the island of Likiep and extends 10 meters above sea level. In its Initial National Communication to the United Nations Framework Convention on Climate Change (UNFCCC) released in 2000, the Marshall Islands identified the following sectors as being particularly vulnerable to climate change: water resources, coastal resources, agriculture resources, marine resources (including fisheries) and human health. Overall, the most appropriate and effective adaptation measures and strategies are most likely to be those that will be beneficial even in the absence of climate and sea-level change. Such measures and strategies could be considered as “no regrets” adaptation options. Therefore, in the first instance, the capacity of the Marshall Islands to adapt to the effects of climate and sea-level change will largely be determined by its ability to address on-going environmental, social and economic problems. Adaptation includes three main types of activities. First, there are adaptive actions that include activities targeted at specific sectors where climate change effects have been identified. Second, another group of adaptive measures are equally important and include general policies and actions by government to address some of the social driving forces of environmental problems which will heighten vulnerability to climate change effects. Third, it is also important to increase the capabilities of the Marshall Islands to effectively implement adaptations. The Republic of the Marshall Islands (RMI) are located off the northeast coast of New Zealand, scattered in an archipelago consisting of two roughly parallel island chains. There are twenty nine atolls and five reefs without lagoons which are made up of about 1,225 islands and 870 reef systems. Twenty-two of the atolls and four of the islands are inhabited. The atolls extend about 700 miles (1130km) north to south, and about 800 miles (1290km) east to west. While some of the islands are several kilometers long they rarely exceed a few hundred meters in width and are often considerably narrower. Land elevations are very low, with a mean height above sea level of only two meters (7 feet). 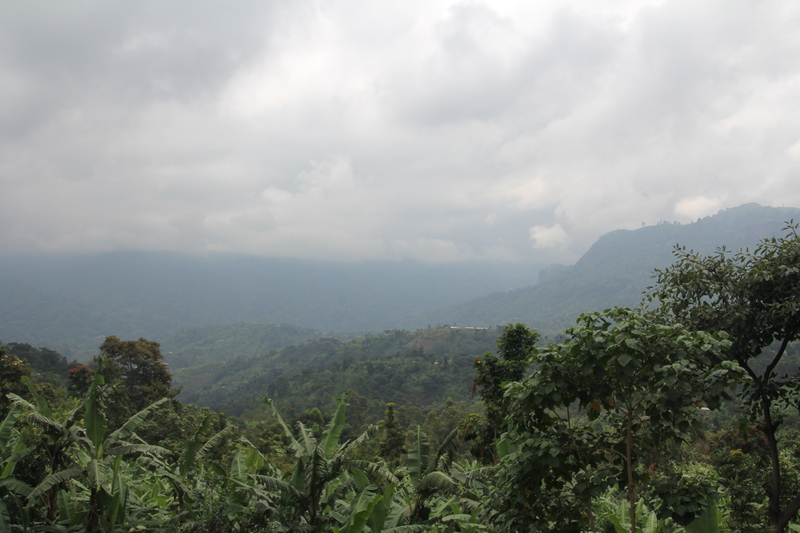 The combination of small land areas and low land elevations contributes to the ecological vulnerability in the Republic. There is concern that any change in sea-level could seriously upset the fragile balance between the land and the sea. 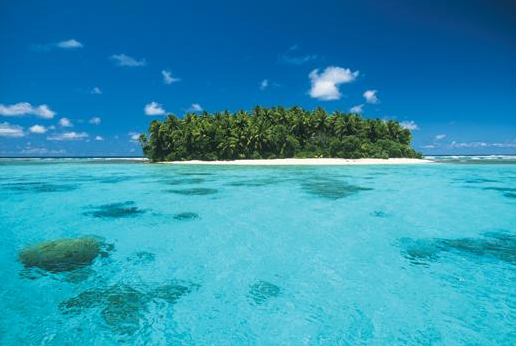 The RMI consist of fragments of Islands or low Lying Atoll Courtesy of MIVA. Isolated by ocean, the Republic is more than 2,000 miles (3230km) from the nearest trading centers, Honolulu and Tokyo. Geographically, the RMI’s nearest neighbors are Kiribati to the south and the Federated States of Micronesia to the west. The Republic’s Exclusive Economic Zone (EEZ) encompasses over 750,000 square miles (1.2 million sq km) of the Central Pacific. Subsistence agriculture and fishing are the country’s main industry; the tourism industry makes a noteworthy contribution along with development funds from the United States. Institutional strengthening, such as by ensuring that governmental departments are adequately structured and equipped with appropriate skills and tools, and are capable of delivering an integrated response to the challenges arising from climate change and accelerated sea level rise. Project management and operational training for all stakeholders involved in climate change programs and the implementation of adaptation projects. Accurate documentation of baseline conditions from which to measure climate induced changes to the shorelines, reef and island ecosystem and affected settlements and communities. Research capacity needs to be strengthened by ensuring adequate support at the professional and technical levels, and by providing financial support for baseline bio-physical and socioeconomic environmental research, monitoring changes to environmental conditions and implementing adaptation measures. integrated coastal zone management planning and the implementation of adaptation projects. Confidence and capacity building programs are needed for government departments, members of local councils and nongovernment organizations. Proactive participation in international forums and meetings are needed with the aim of continuing to keep the issues confronting small island states, when they are responding to climate change. Land Use and Planning: amendment of land use planning policies to include adaptations to climate change. Environment and Natural Resources: amendment of environmental and natural policies to include adaptations to climate change. Natural Hazard Management: amendment of natural hazard management policies to include adaptations to climate change. Administration and Management: initiation of administrative arrangements and management policies to deal with the core sectoral concerns in terms of water resources, coastal resources, agricultural resources, marine resources and human health. Human Health: Development of a comprehensive suite of human health policies to address water borne diseases and other sicknesses that are related to climate-induced change. Solid and Liquid Waste Management: Provide broad management policies for domestic solid waste and discharges of liquid effluent including consideration of a strategy to convert solid domestic and some industrial wastes to saleable energy. Foreign Affairs: Enhancement of foreign policy frameworks. Center of Excellence: establish a Centre of Excellence to expand the role of the Marshall Islands in the international as well as national issues of climate change. Technology Exchange: technology exchange policies to address applied research and monitoring (information management). More recently Marshall Islands developed the RMI Climate Change Roadmap 2010 as a national framework for their climate change and sustainable development efforts. With respect to adaptation, actions identified by the Marshall Islands Government included: the implementation of a Micronesia Challenge and Reimaanlok Action Plan; planning and interventions to address vulnerability in food security, public health and other social development areas; and protection and maintenance of key infrastructure and resources through planning and inter-agency coordination (FSF, 2010). As noted, the Marshall Islands previously participated in the PICCAP, which was initiated in 1995. Funded by the Global Environment Facility and implemented through the United Nations Development Programme, PICCAP was executed by the Secretariat to Pacific Regional Environmental Program in 10 Pacific Island countries (Cook Islands, Federated States of Micronesia, Fiji, Kiribati, Marshall Islands, Nauru, Samoa, Solomon Islands, Tuvalu and Vanuatu) (Plume, 2002). At present, the Marshall Islands appears to be participating in a low number of adaptation projects relative to other countries in the Pacific region; and all are being undertaken as part of broader, multi-country initiatives. These projects are attending needs related to agriculture, forestry, tourism, gender and policy and planning. 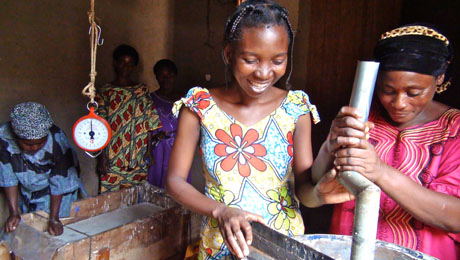 Most projects emphasize capacity building, training and policy and planning. Funding for these projects is being provided by the Asian Development Bank (ADB), the Special Climate Change Fund (SCCF), and the governments of Canada and Germany. Proposed adaptation actions within the Marshall Islands were not identified through this review. Dohan, Rosemary; Hove, Hilary; Echeverría, Daniella; Hammill, Anne, Parry, Jo-Ellen. (2011) “Review of Current and Planned Adaptation Action: The Pacific.” Adaptation Partnership/International Institute for Sustainable Development, pp.82 - 88.